Is Your Merchant Cash Advance Business An Asset Or A Liability? Hi, Oguz Konar here. I am the president and CEO of Local Marketing Stars. 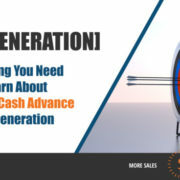 I want to take a couple of moments and talk about one of the biggest mistakes merchant cash advance companies make when it comes to figuring out how to do their marketing and lead generations. I’m going to be talking about building an asset within your company versus building a liability. 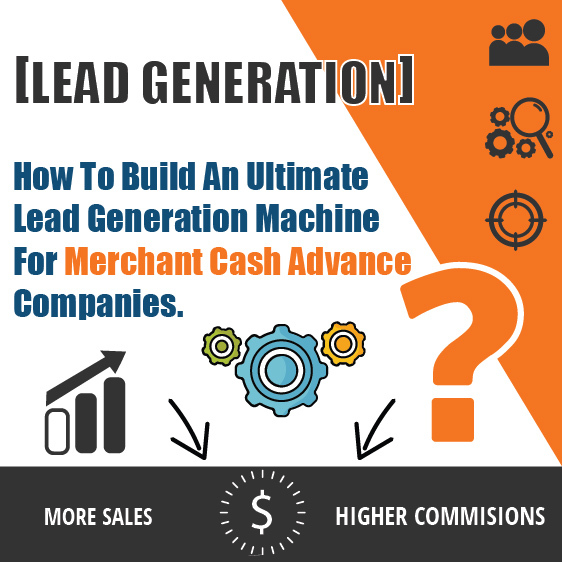 Our company is around for a while and we work with 47 different verticals before we decided to work with merchant cash advance industry. We serve verticals from restaurants to construction companies, to dry cleaning companies, software companies, video programming companies, so many different industries and cash advance is one of them. We chose to focus only on merchant cash advance about two years ago. There are reasons as to why that’s the case. As the owner of a marketing company, one of the things that I look at is there a demand for the service. Many people wake up with a dream that they’re gonna have their own startup without really thinking about whether the market has a demand for the products or services. In merchant cash advance that’s really not the case. There’s a major demand for this industry. 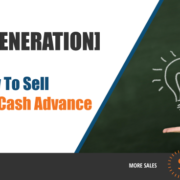 We have hired researchers and had them do research on the future of merchant cash advance industry. We found that the search volume on the search engines for people looking for business loans has been going up consistently. Three years ago that number was around 90,000 to 100,000 people, right now it’s over half a million. And I think that number is going to get close to 700.000 to 800,000 people per month towards the end of 2018. 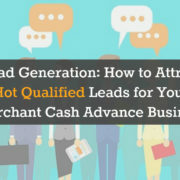 So when you’re dealing with a product that has this much demand, you have a couple of options such as tapping into that demand, which we’re seeing every day more and more now, where more merchant cash advance companies are started. Unfortunately, when they do start the company, they were modeling the wrong people. On average I talk to 15 to 20 merchant cash advance business owners every week, and that allows me to see a pattern of their behavior and almost make a prediction who is gonna succeed better than the other and who’s gonna fail because unfortunately, this industry has one of the biggest failure rates. People start and within six months you don’t see them around, or the ones who survive their first year do so but they’re really not profitable. They soon find out that they just got themselves another full-time job. That’s happening because they’re modeling most of their competitors out there. Most of the guys are starting out they might be in in their business for a couple years but they’re doing the same thing over and over again. If I were to summarize what they do is, they do things such as: “I’m starting my company, so what is the most effective way for me to get leads?”. “I’m going to buy a list of UCC leads”, or “let me hire an offshore center to do telemarketing”. “I have a couple of thousand dollars, let me start a direct mail campaign”, or let me start buying live transfers”. Those are four or five common things most of the people do in this industry. I’m not saying that all of them are bad and you should not be doing that. You do need both inbound and outbound lead generation. But where things get complicated and sour for a lot of these business owners is when they just keep doing that without really working on creating other streams of income, revenue, deals and leads for their businesses. If you’re stuck in that route of purchasing leads either in the form of UCC leads, telemarketing data, or live transfers, you’re basically tapping into a well that thousands other people are trying to get deals out of at the same time. 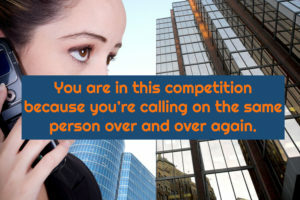 You are in this competition because you’re calling on the same person over and over again. So my disagreement with that approach is that you have half a million or more people searching online for a business loan, which means there are new faces that are usually not a part of a telemarketing list, even though that doesn’t mean they all qualify. So every day people are searching online, but instead of tapping into that, you’re going after a UCC list or a telemarketing list that has been sold to maybe 20 other companies out there. You can still close deals, but when you’re attempting to close a deal, you’re not closing on authority. You’re closing on the rates that you’re providing. It’s really difficult to build your value and differentiate yourself from other people. 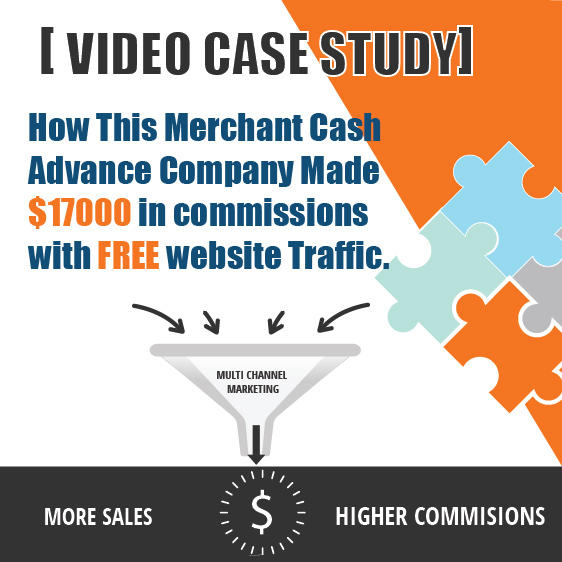 The result then your profits go slim, but then you get used to that pattern and thought this happened because Merchant Cash Advance is super competitive. I hear that all day long from business owners who told me that MCA is super competitive. It’s true that MCA is super competitive but so does many other industries. I’m not disagreeing that it’s not competitive, but the point is it’s not competitive on the inbound lead generation part. There is a massive flow of leads, but only 10 to 15 companies are claiming that, only the major players. But when I pointed this out, the usual objection from business owners is the amount of those major players are spending four million dollars a month will guarantee them to get organic leads. Hence why they thought it’s not going to work out like that for them. They prefer to take that small amount of money and buy a list of 10,000 people and pull a couple of deals out of that. 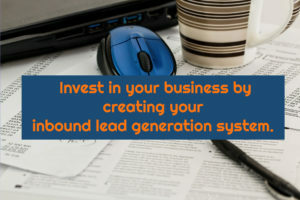 Invest in your business through creating inbound lead generation system! If you’re a fresh beginner, I suggest that you do whatever it takes to get a couple of deals under your belt and start generating some income, because as you know, sales are above all else. But once you establish yourself a little, or if you’ve been around for a while now and you have a couple of people or have the vision to grow the business really fast, you want to differentiate yourself from other people. 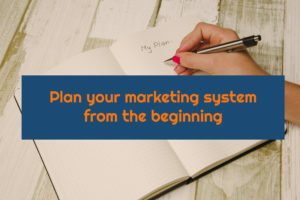 This means you have to invest in your business, and the way to invest is by creating your inbound lead generation system. What I mean by that is that you want people to be able to find your brand, your phone number, your story. So when an individual find you on your website, they will make a decision on your brand, whether they want to work with you specifically or not. You need to build your foundation, and people need to make a decision whether they want to work with this company or not. Whereas when you buy leads from other sources or from somebody else’s website or landing page, it doesn’t allow you to build that. You only have options of getting ten phone calls which are all the same, so you chose to beat them up on price and see who’s gonna give you a better lead, a better percentage, better rate so that decision is off to you. This is why it’s so important that I suggest you not only thinking about today. 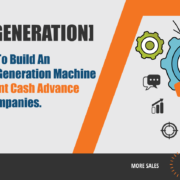 So many Merchant Cash Advance companies I met are at the primitive level in planning, they only plan for tomorrow. But if you want to be a real serious business owner when you’re thinking about tomorrow, you need to find out are you really seeing yourself running your company until you retire or until you die? What is your exit strategy?. When I ask that question many people tell me they’re not planning to do this forever, that they want to build this up so they either can be hired by someone or they can sell portfolios. If your goal is to build this as a business and turn into a sellable asset, you got to have assets! Your asset cannot be your source where you buy the leads from. Your asset is if your website is getting 3000 people you’re converting them at a certain percentage. Or if you have a paid inbound system that brings you leads almost on demand, where you’re putting X you’re getting X plus. Or if you can control how much you’re spending to purchase a customer, that’s a system. Once you know that when you spend $50 for four times it’s gonna give you a customer that would put $3,000 in your pocket, then you know how many times you’re X-ing your investment. 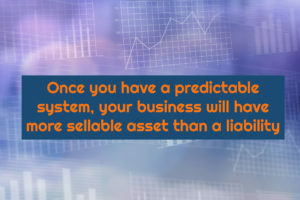 So once you have a predictable system, your business will have more sellable asset than a liability. It will be a liability if you didn’t have any system or you’re solely lying on an offshore center or a bunch of telemarketers that you hire in-house. You’re just having them generate leads for you, but you don’t have a lead generation that’s running 24/7. Have you ever considered the fact that your lead generation stops the moment your employees leave the office or your offshore center closes down at the end of the day? These facts would make me feel really uncomfortable if I knew that I’m only relying on a couple people that hire, and the moment they either do not show up or do not work, my lead generation is down to zero. I’m not saying having those offshore centers and telemarketing or UCC leads are bad, but building a true asset means having an automated system that brings you leads. I’m not talking about just search engine optimization. 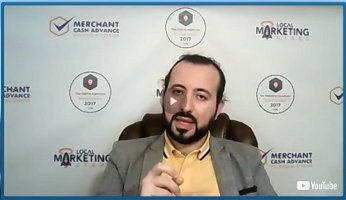 I’m talking about combining the search engine with your paid efforts, and coming up with a hybrid solution where not only you’re building more your online presence, but also people are coming to you because they trust you and see you as an authority and they want to work with you. So when that happens, when you’re in negotiations on either selling the company, or bringing on more partners, or bringing on revenue, that will play a big role. That’s why when you’re deciding on your marketing, I suggest you do not think just about today and to what you’re gonna be selling today, I also suggest that you think about what you’re building as a company. Your company culture, your automation systems in place, your CRM system, your follow-up system, your nurturing campaigns or other email campaigns, your sales scripts, your closing percentages, and revenue per deal. All of that will play a role in a building and real company. Otherwise, you can call yourself just a sales organization because that’s all you might be doing. You’re just getting leads and turning them, and selling them, and looking for more and more data. I know companies that have data of millions of people’s information which they keep calling, and their goal is to grow their floor more and more, having 30 to 50 more people.To me, that’s a scary scenario. Of course, you want to have more people, but not for telemarketing, because obviously, that gives you more headaches. Managing salespeople means higher payroll you even if they are on commission-based, and higher rent. What if instead of adding ten more people, you can add a system that does as much if more than those people. You own it! So you don’t owe it to your people, hoping that they will stay as a long-term employer. They will stay with you and so perform at the level or better. So that’s why I wanted to make a distinction between an asset and liability in this video. I wanted to report this because I’m seeing this over and over again, and I think this is important for business owners to notice when they’re starting this. In the first couple of months it might be okay to do anything you can do to get leads, but at some point, you got to make a decision and say what am I really doing with my business? Am I really building this as a sellable asset? Whether you sell it or not it’s up to you, but I think it’s important that when you decide to walk away and take a two-month leave vacation, you don’t have to worry about your business. I hear that a lot, where people feel proud that they’re hustling so hard, they haven’t taken a vacation in 34 years. To me, that’s not healthy. If your company is 3 years old and you still have to show up every single day to motivate people so they can close better deals, you’re creating a habit that’s difficult to break. If you don’t change anything, you’ll find yourself in situations where you’ve been in business for 10 years and you’re still grinding. Grinding is only fun when you’re doing it in the beginning when you’re building something. But if this is your daily routine, something is definitely wrong with that structure. I’m known to be really blunt and I say it as it is. That’s how we grew our company quite a bit because that’s how we help our clients. We’re really upfront. So if what I say makes sense, leave a comment here or schedule an appointment so we can talk more about your specific situation. 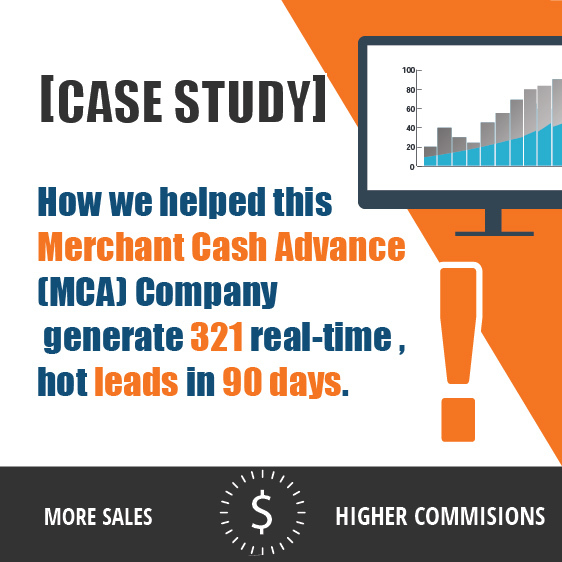 We’ve been helping our clients and merchant cash advance industry for a while now and we’re building systems for them so they can get predictable leads on demand. We’re not in the business of selling leads, live transfers, and all the other things. We’re in the business of building inbound lead generation system. So if you’re interested, you’ll see a link below, click on that and you’ll have access to our calendars so you can schedule a conversation strategy session for us to talk more about this. No obligation. Thanks for listening. https://localmarketingstars.com/wengine/wp-content/uploads/2017/08/assetorliability-1.jpg 836 1600 Oguz Konar https://localmarketingstars.com/wengine/wp-content/uploads/2017/06/local-marketing-stars-e.png Oguz Konar2017-08-14 14:06:202017-10-29 12:30:38Are you building your Merchant Cash Advance business as an asset or a liability? I’m interested. I’m just starting out as a broker. I think you can help me. Sure, what’s the best number to reach you for a quick chat? 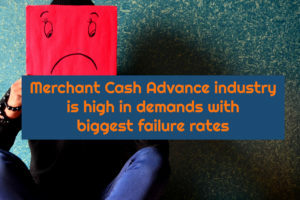 Why Do Most Of The Merchant Cash Advance Companies Fail? and What to do about... Is Your Merchant Cash Advance Biz An Asset or A Liability?